The Wiesenthal center urged the Swiss government to protect the religious rite of circumcision. 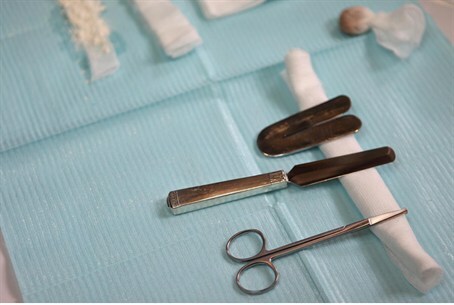 The Simon Wiesenthal center urged the Swiss government to protect the religious rite of circumcision following news that hospitals in Zurich and St. Gallen have suspended the practice on Jewish and Muslim boys in wake of a similar ban in Germany ordered by a judge in Cologne. The rabbis said that the religious rite has been practiced countless times in Swiss hospitals, leading them to believe that the recent bans are based on a bias against Jews and not on medical or ethical concerns. Rabbi Cooper and Rabbi Adlerstein reminded Ambassador Sager that the German Bundestag is already defusing the controversy around the ban by committing itself to finding a legislative solution. “Responsible voices in the Swiss government must follow the lead of the Bundestag and quickly move to protect circumcision in Switzerland, before she becomes known as a global example of religious intolerance,” they said. The Wiesenthal Center wrote to German Chancellor Angela Merkel asking her to forge a non-partisan legislative move to protect what has been the religious rite of the Jewish People for the last 3,500 years. Public opinion polls in Germany show troubling support for the ban: in a taken by the DPA news agency, 45% supported forbidding the rite of circumcision, with 42% opposed. “Without strong, unequivocal leadership from the top, these initiatives will further embolden anti-Semitism in the mainstream of European society,” Rabbi Cooper warned.